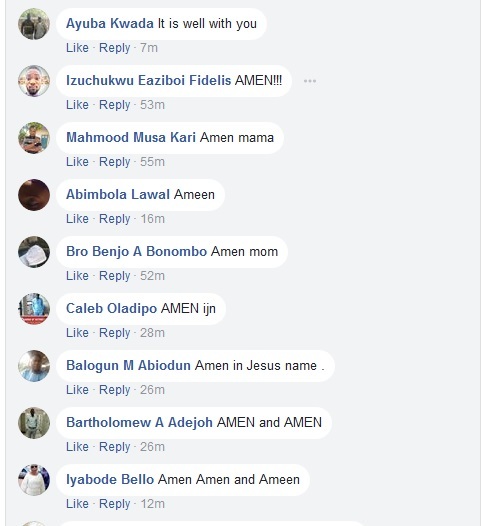 A mother has shown undying love for her son after returning to the northeast after she blessed and prayed for him. 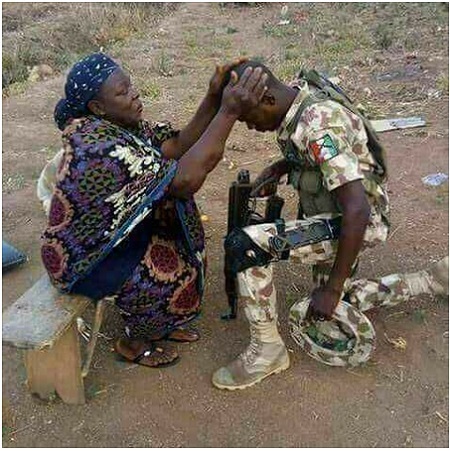 A photo of a mother giving her blessing to her son who might be in danger as he returns to his base in the northeast to confront Boko Haram terrorists has left everyone touched. 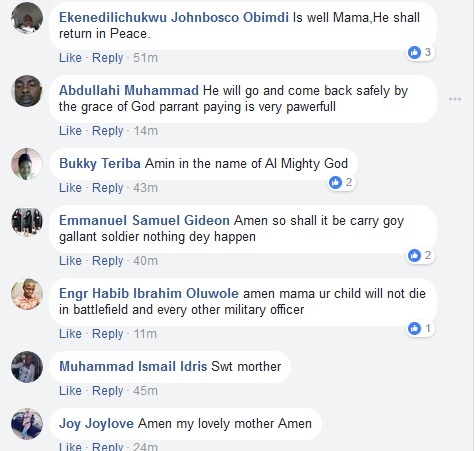 The mother was pictured praying for her son by placing her hands on his head while he knelt down in full military gear with a gun. The picture which was shared online has melted the heart of online users who have reacted to it.